How to be a Watcher and help a smoker quit ? We believe that interactions and human relationships are essential tools to help smokers and vapers quit. Indeed, the first reason for failing is the lack of support. Thanks to Smoke Watchers, you can become a Watcher and help a smoker get rid of cigarettes for good. 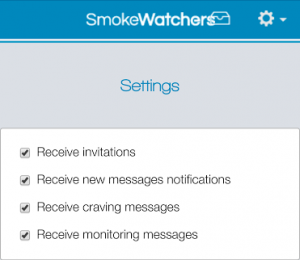 To subscribe, you can go to our website https://smoke-watchers.com and click on the button Become Watcher. 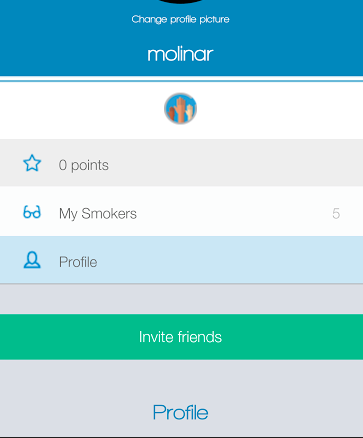 The smoker who is willing to quit with Smoke Watchers can download the app, whereas the Watcher can use the online platform. No need to get a smartphone app, just a computer. 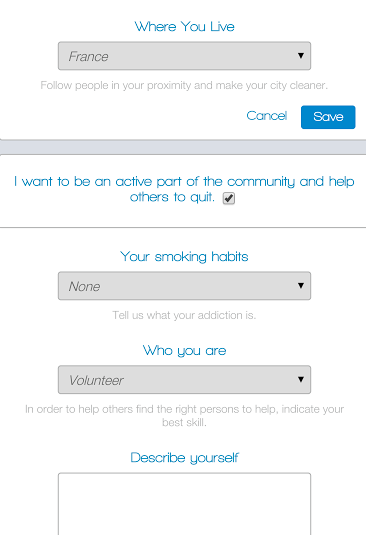 By checking the box “I want to be an active part of the community and help others quit“, you can be chosen by any smoker who would want toe be helped. If you don’t check it, you can’t requested by anyone, you can only invite a smoker. Fill out the form with basic information : gender, date of birth, home country and your smoking habits. For former smokers especially, it is an important piece of information. Smokers who quit feel usually more comfortable with Watchers who have been through the same experience before. What kind of Watcher ? Then you will be asked “who are you” : volunteer, medical, sport coach or life coach ? Besides volunteers, all other tags have to be approved by Smoke Watchers. Everyone is welcome as a Watcher. Describe your motivation to be a Watcher and be as precise as possible. The picture is also very important, it gives you a face and shows that you have a serious profile. Once you have subscribed as a Watcher, you need to invite a friend, a family member or a patient to fully take part of the Smoke Watchers experience. Just click on the green button “Invite friends”. It is also possible to wait for a smoker to request you. You will be notified by email. Your mission can start once a smoker chooses you as his Watcher. Otherwise you will only have access to the profile part of the service. In order to be an effective Watcher, you need to set your account. You can choose what you want to receive per email: invitations, new messages, craving messages or monitoring messages. We recommend that you select everything first because you might not be used to visit the platform and check your smoker’s use and progress. The Watcher has now access to every act of the smoker/watcher through the web app. He knows how many cigarettes are being smoked, the number of puffs, the nicotine rate, the goals the smoker has set for himself, etc. 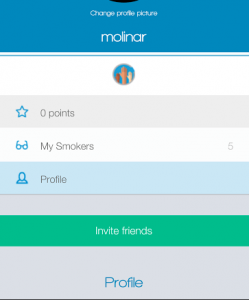 He can interact with the smoker and comment his progress. Why Quit Smoking with E-cigarettes?